Kodak has launched a new digital photo keychain, the Kodak Smile G150. The Kodak Smile G150, features a 1.5 inch LCD display, and can store up to 100 digital photos on the built in memory, although there is no mention on exactly how large the built in memory is. 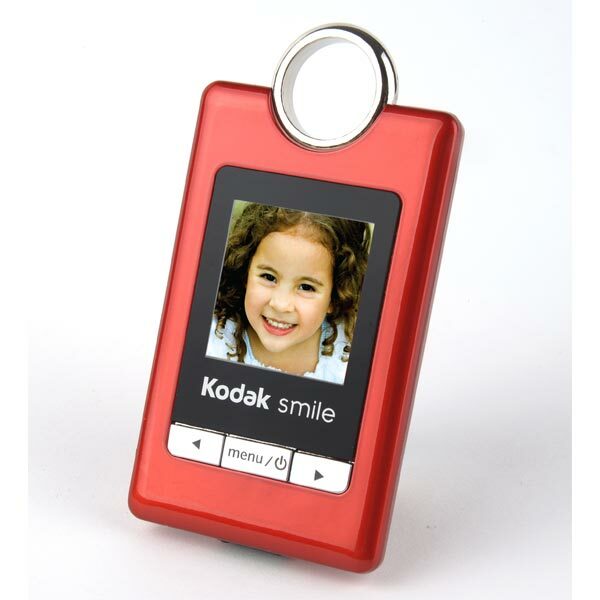 The Kodak Smile G150 features built in software that automatically resizes your images, and it is available in a choice of colors, including red and black. If you want one, they will be available later this month for $29.99 from Sakar.